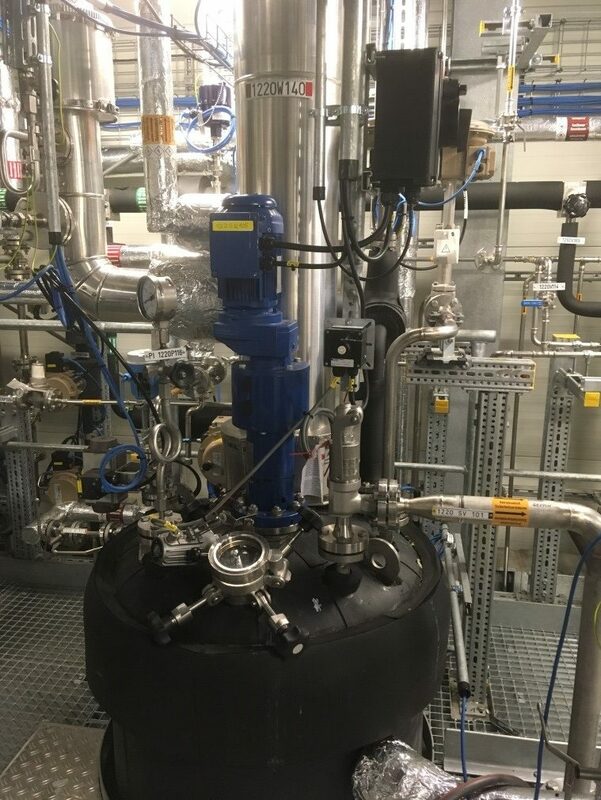 As part of the UNRAVEL project, we performed a scale-up of the FABIOLA™ fractionation process in the lignocellulose biorefinery pilot plant at Fraunhofer Center for Chemical-Biotechnological Processes (CBP). Samples of pulping liquor with increasing lignin concentration during FABIOLA™ pulping process. Developed and patented by ECN part of TNO, the mild acetone organosolv process FABIOLATM shows great potential for improving the pre-treatment of lignocellulosic biomass, such as wheat straw, corn stover and various hardwoods like poplar, beech and birch as regards cost-effectiveness and quality of resulting compounds. Especially the isolated lignin showed remarkable characteristics enabling higher value product applications as compared to lignin obtained by other pre-treatment processes. The high sugar yields from the (hemi)cellulosic fraction that could be obtained by FABIOLA™ increase the potential of the process for future industry-level operations as the sugars can be converted to fuels and chemical building blocks for plastics. In addition to improved product yields and quality, the combination of solvent and process conditions used by FABIOLA™ could result in a significant reduction of operating cost and energy demand which further improves the economic viability of the process. To realise the deployment of this mild fractionation process in industrial settings in the near future, maturing FABIOLA™ from lab to industry scales is crucial. The scale-up results proved that the FABIOLA™ process is technically feasible at levels that are relevant for industrial production. For the first time, UNRAVEL demonstrated that product yields and properties that were previously retrieved at laboratory scales can be achieved at larger scales in the pilot plant. For example beech wood chips were processed using a liquor to wood ratio of 3.3 kg/kg dry feedstock, resulting in beech hemicellulose solubilization of 92% (with 65% hemicellulose conversion to monomeric sugars), a delignification of 87% and a 94% recovery of cellulose in the solid pulp. The obtained sugars and lignin are currently being tested by the industry partners for high value product applications, for example for bio-based building materials. In the following months the lignin retrieved during the FABIOLA™ scale-up will be characterized by UNRAVEL partner University of Strasbourg/CNRS in detail, modified if necessary and tested for applications, such as PUR/PIR. Sugars will be fermented to organic acids and solvents, for example acetone and xylonic acid. Further upscaling is planned for pre-extraction processes of lignocellulosic biomass: The aqueous acetone used for fractionation can also be applied for the (gradient-based) pre-extraction of biomass. Removing the non-lignocellulose components prior to fractionation will increase the homogeneity of the feedstock composition and the purity of the biorefinery products. In addition, this novel process will enable commercial-scale biorefinery plants to use different feedstocks flexibly, including agricultural and forestry residues, processing waste, energy crops and manure fibers. Improving the availability of low-cost biomass and valorizing the compounds produced during pre-extraction can significantly improve the economy and sustainability of biorefineries. 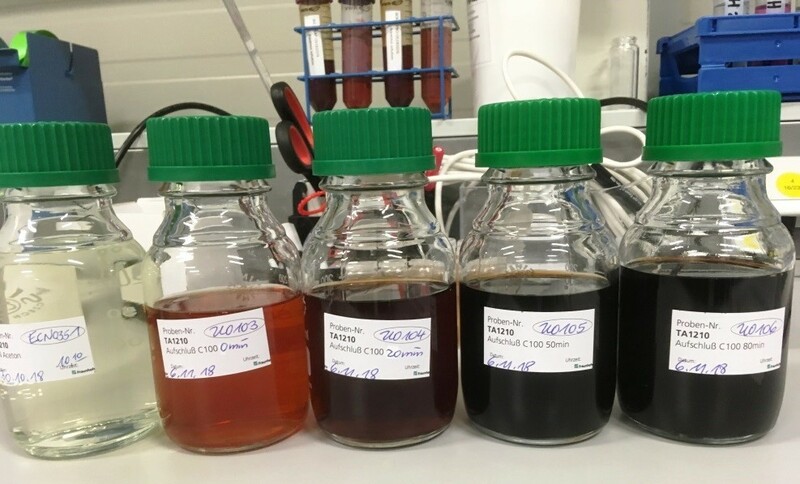 Furthermore, UNRAVEL partner Max Planck Institute Magdeburg will adopt a novel lignin precipitation process to FABIOLA™, with the aim to further improve the lignin recovery to at least 95%. The data retrieved from tests at industrially relevant scales will be used within UNRAVEL to perform a full techno-economic evaluation of the FABIOLA™ process at large scales.